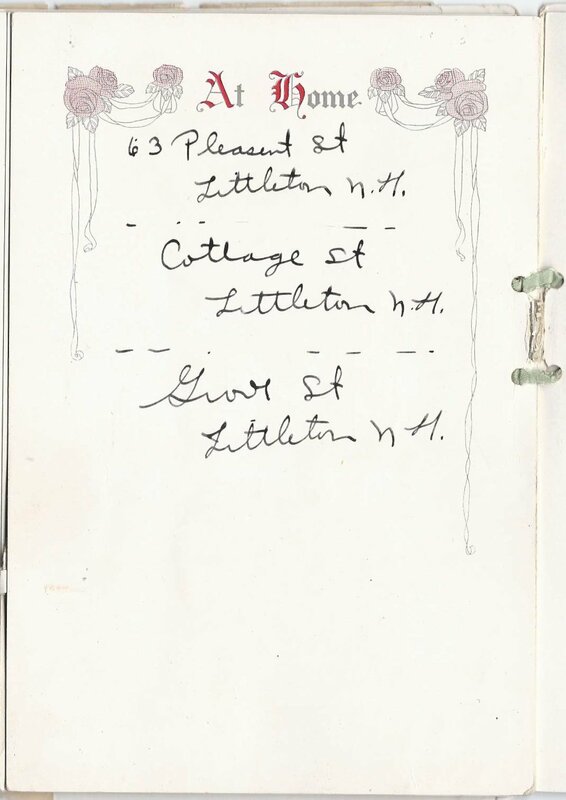 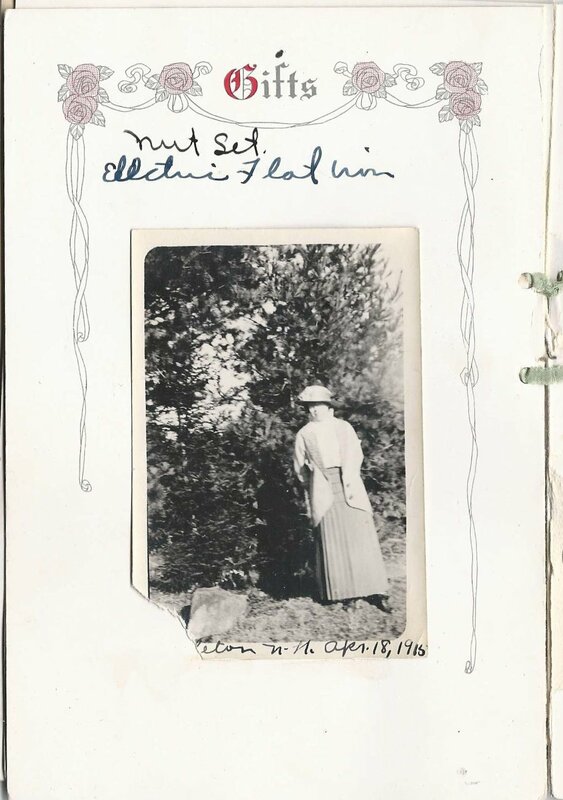 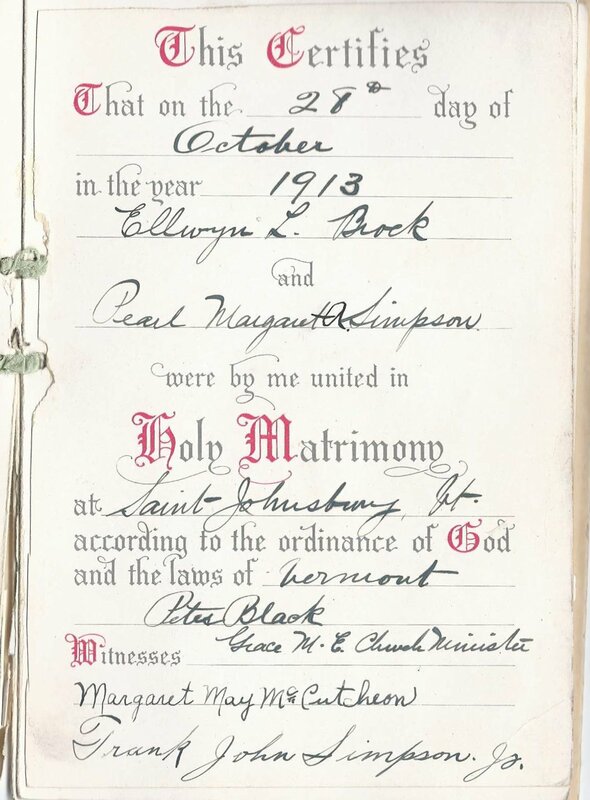 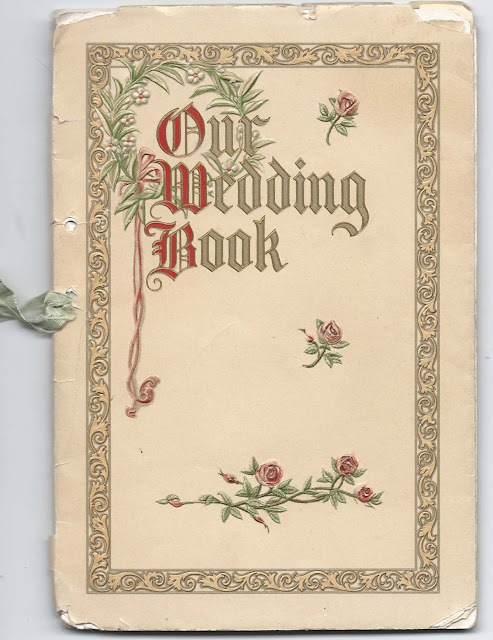 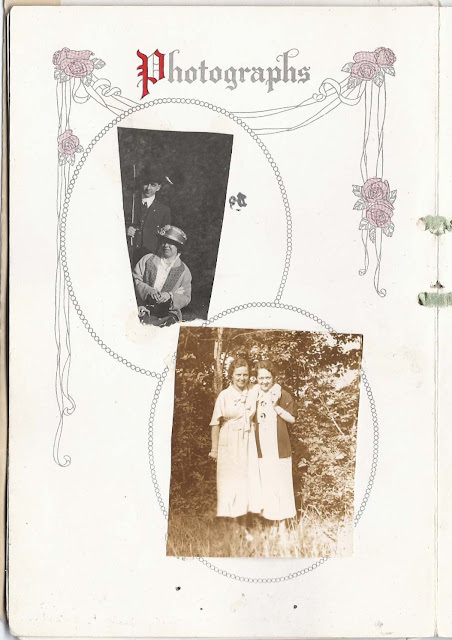 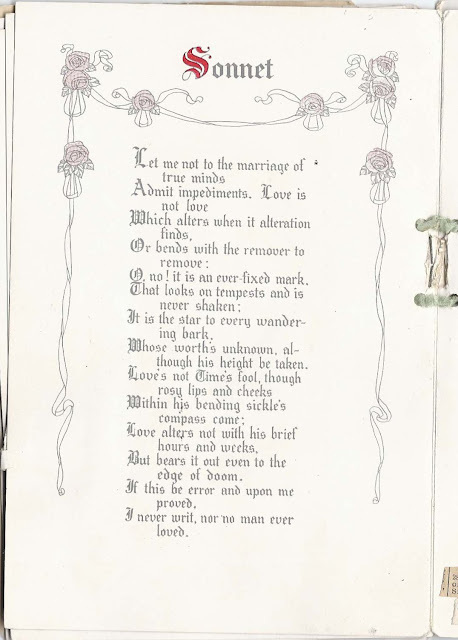 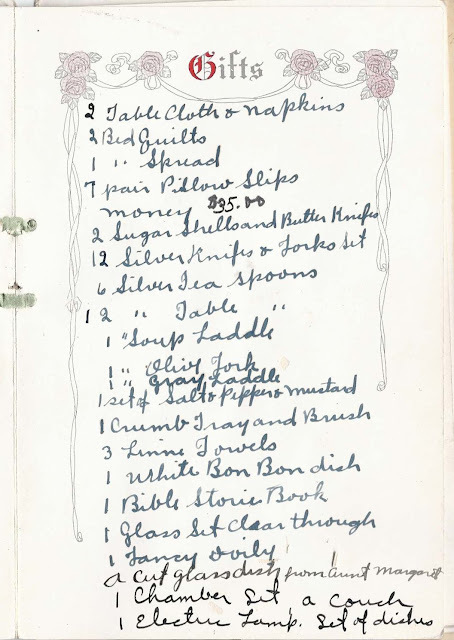 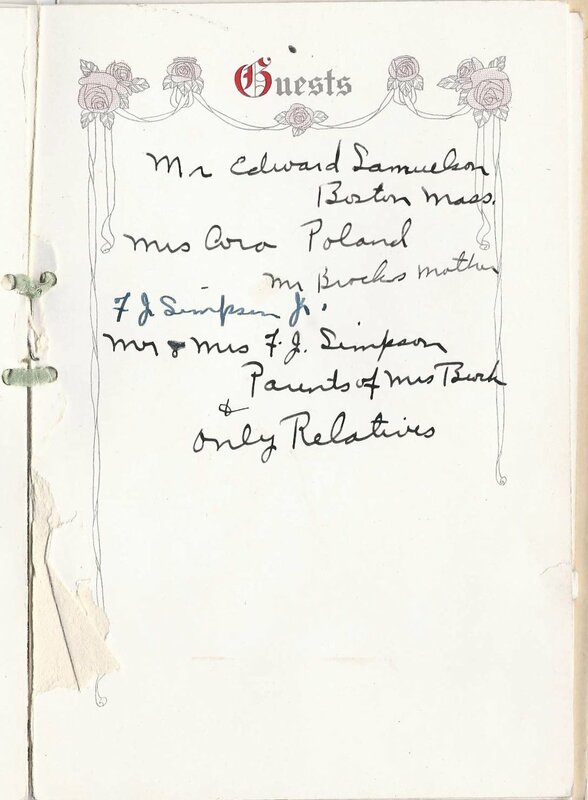 1913 wedding book from the wedding of Ellwyn L. Brock and Pearl Margaret Simpson at St. Johnsbury, Vermont. 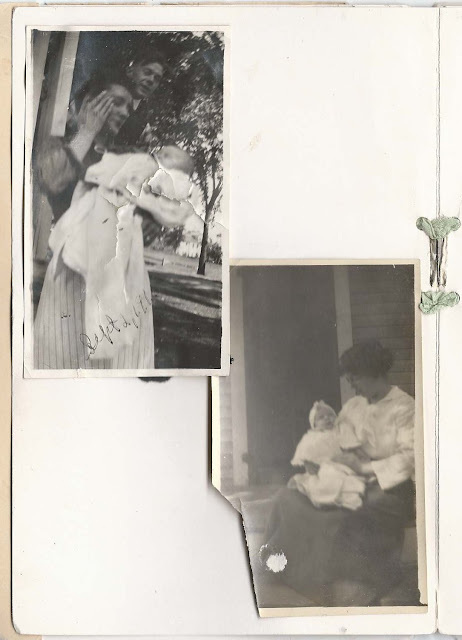 The two photographs below may be baby photos of the bride and groom. 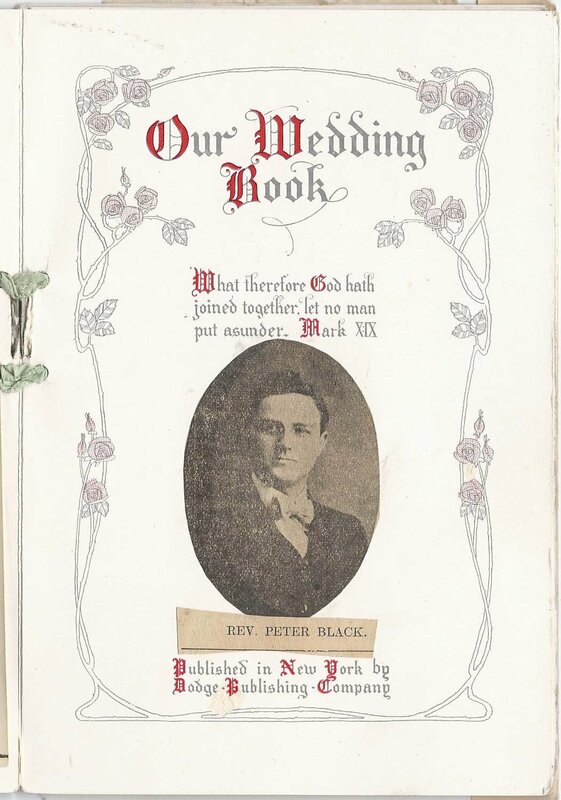 A photograph of Rev. Peter Black, who performed the wedding ceremony. 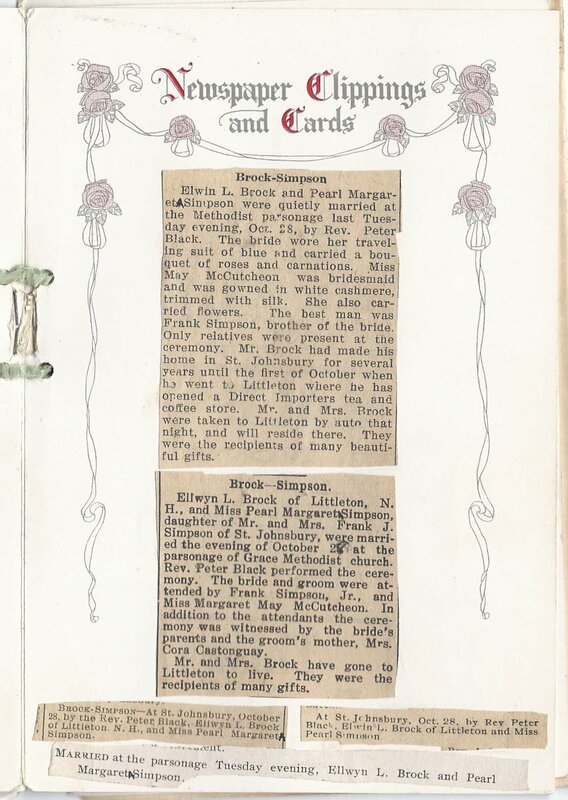 Two photographs that might be of the immediate families of the bride and groom. A page with two more gifts and a photograph taken at Littleton, New Hampshire on 18 April 1915. 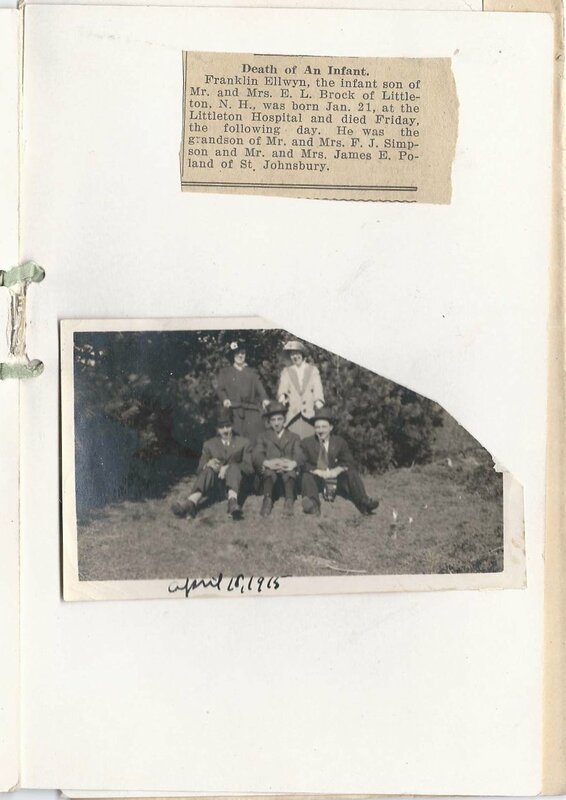 A sad newspaper clipping of the death of Franklin Ellwyn Brock, infant son of Mr. and Mrs. E. L. Brock of Littleton, New Hampshire, and a photograph of three men and two women. 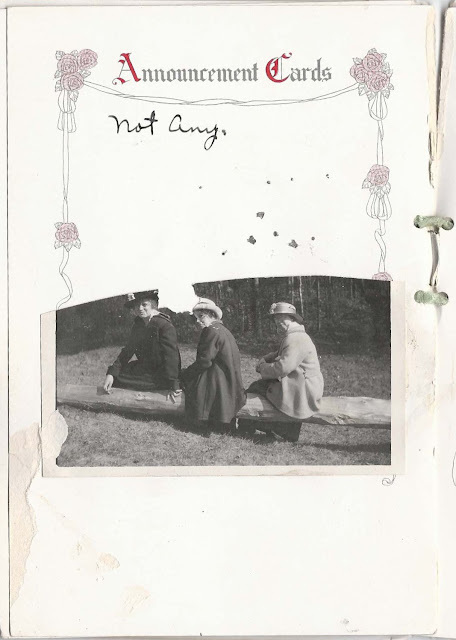 A loose photo was found inside the album, perhaps of the house that either the bride or groom had lived in before marriage or one of their homes at Littleton, New Hampshire after their marriage. 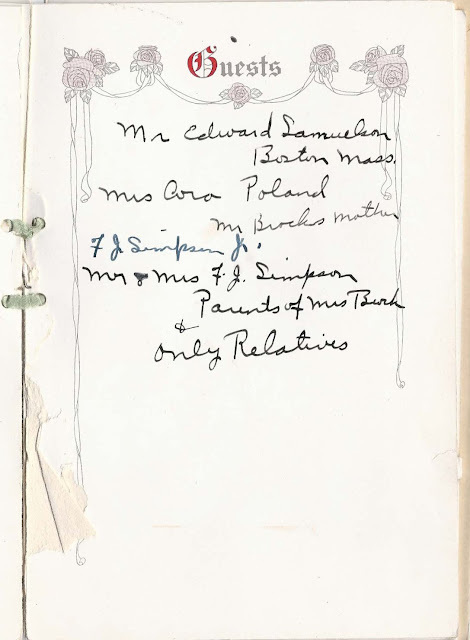 Ellwyn Lionel Brock was born 8 September 1894 at Ryegate, Vermont, the son of Ellwyn and Cora H. (Somers) Brock. Pearl Margaret [Adele] Simpson was born 11 October 1891 at St. Johnsbury, Vermont, daughter of Franklin John Simpson and Christine (Graham) Simpson. 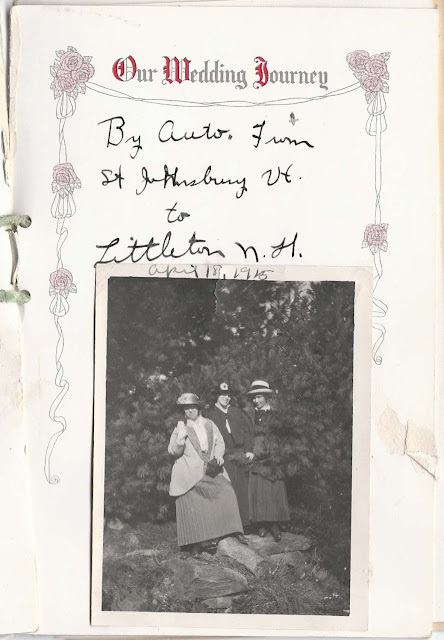 The 1920 Census shows them living at St. Johnsbury, Vermont with their two daughters and Ellwyn's twice widowed mother, Cora H. (Somers) Brock Poland, recent widow of James E. Poland. In the 1930 census, Ellwyn was married to his second wife, Olive J. and living at Springfield, Massachusetts. 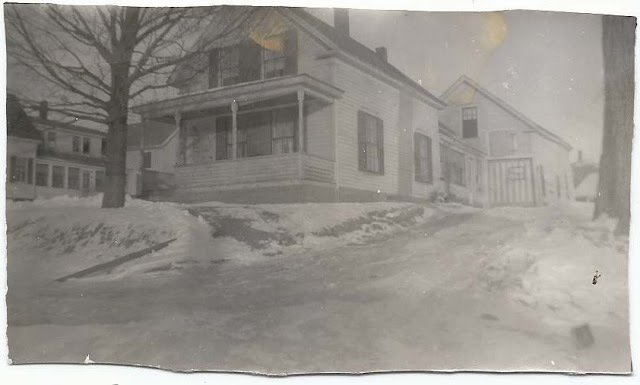 Pearl and their two daughters were living in the household of Walter and Katherine Farr at Lowell, Massachusetts. 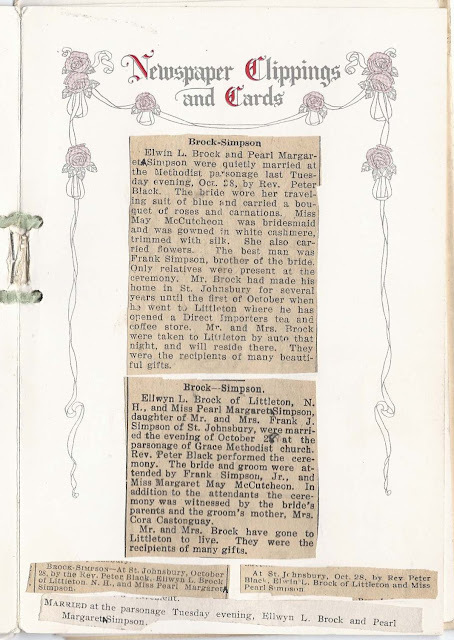 If you have corrections to the information above or more information on the Brock and Simpson families, please leave a comment or contact me directly. Thanks!